I can't believe the Indy Monumental is only 5 days away! It's one of those things you don't think will ever get here, then suddenly it is! Saturday I ran my last 'long' run with Nikky. She'll be running Indy too, and it'll be her first marathon. 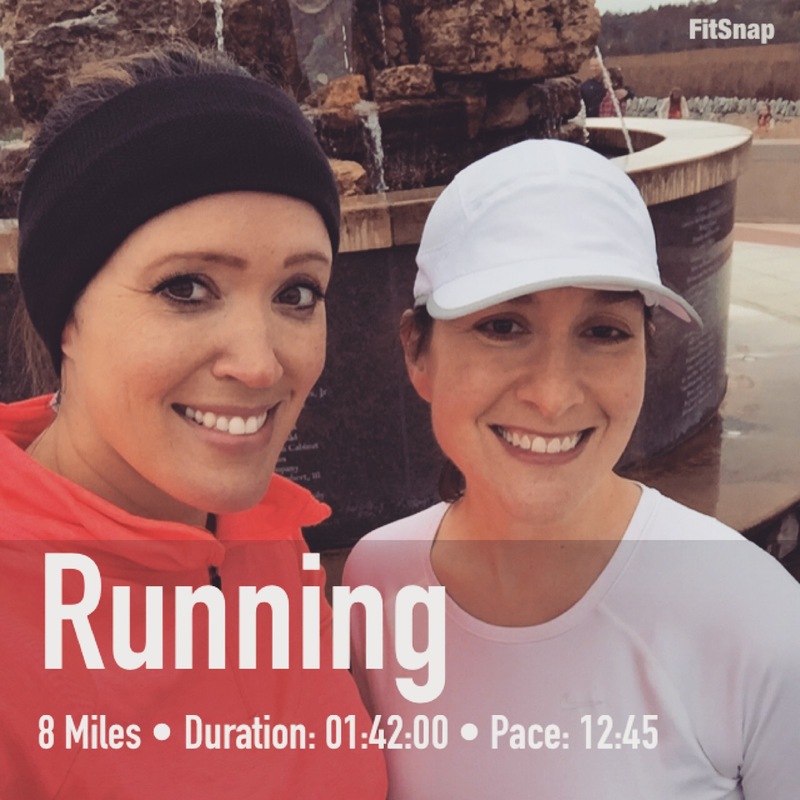 After so many weeks of long runs, 8 miles was a welcome break. I will talk more about the marathon this week, but I really am feeling more excited about it and more confident. It's such a mental game. I just have to get my mind in the right place, which I feel like I am doing. And, for the first time EVAH, I ran 100 miles in the month of October. I've gotten close to 100 a few times in the past couple years, but I finally made it. Pretty excited about that! Do you keep track of your monthly mileage? If so, what's your number for Oct.? Way to go on the 100!! wow... that's impressive! you've been killing it lately! Yay, so excited for you! I can tell just in this post alone that your mind is in a better place, you've got your confidence and I can't wait to hear how it goes. 225 km for October, my marathon is Nov 29th. Good luck with your marathon! Wow, great mileage Allee! Good luck at your marathon too! I am so impressed with your running streak. I've never been able to do that! Thanks girl, I'm so glad the weather has changed and there will be no rain now!